Close Help Don't Show Me Help Again on Startup. Welcome to the Michigan District Locator Map. This web application displays the boundaries of the 2011 legislative (State Senate and State House) and congressional (U.S. House of Representatives) districts that were established by the Michigan Legislature. In addition, Precinct boundaries and Voting Tabulation Districts (VTD - a component of U.S. Census Bureau data) are displayed for reference. The District Locator Map also includes aerial photography provided by Microsoft Bing Maps. For additional information regarding the data used in this application, click here. and check the box to the right of the district(s) you want to add to the map. To quick zoom to a County/Jurisdiction or zoom to a particular Congressional, House or Senate district use the Quick Zoom button. Map Navigation information is available above the map using the Navigation Info selection. 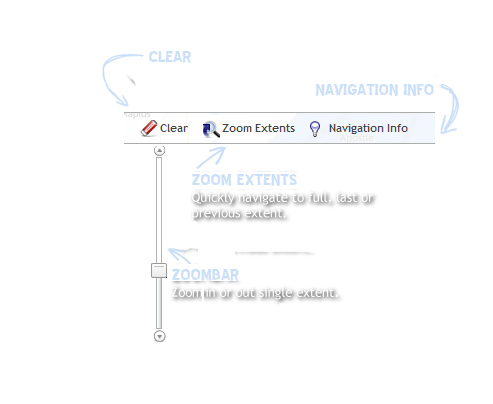 Zoom enables users to quickly navigate to a specific map location. Select the information requested below to locate a County (required) and Jurisdiction (optional) within the state of Michigan. Select the information requested below to locate Districts within the state of Michigan. The 2011 Congressional, State Senate and State House district layers of the map were built from 2010 Census Block information that was incorporated into redistricting legislation enacted by the Legislature (Public Acts 128 and 129 of 2011). The precinct boundaries were derived from data gathered from each city and township. Where local data was unavailable, county or other resource data was referenced to construct the local precinct boundaries. The VTDs were derived from census data and are approximations of local precinct boundaries as they existed at the time of the 2010 General Election, and do not necessarily correspond exactly to actual precinct boundaries as they exist today. The jurisdiction boundaries were constructed by the Center for Shared Solutions and Technical Partnerships (CSSTP), a division of the Michigan Department of Technology, Management and Budget. Jurisdiction boundaries were derived from the Michigan Geographic Framework dataset (version 10a). Toggle layer visibility by clicking the corresponding checkbox. The legend below describes the layers on the map represented by colored borders.